Modern wall clocks are a great fit for many home decor style. 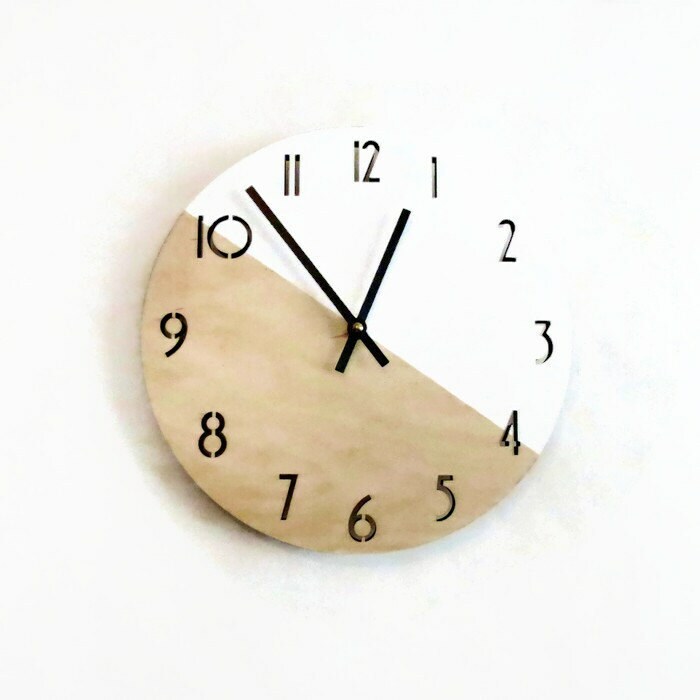 From modern to contemporary, this numbered wall clock fits the bill! These reclaimed wood base has numbers laser cut completely through, making it a breeze to see the time from a distance. This is a Shannybeebo Clocks original design and can be customized to fit your personal style. Clock size is 12" in diameter and 3/8" thick. a new quartz clock movement. Due to differences in screen resolution, colors may vary. Love the appearance, it’s exactly what I wanted. We have had a bit of an issue with the clock bits on the back coming loose and the clock rotating right there on the wall. It was humorous. A bit of finger tightening seems to have fixed it.